It is replaced by the Datamax-O'Neil I-4606 Mark II. 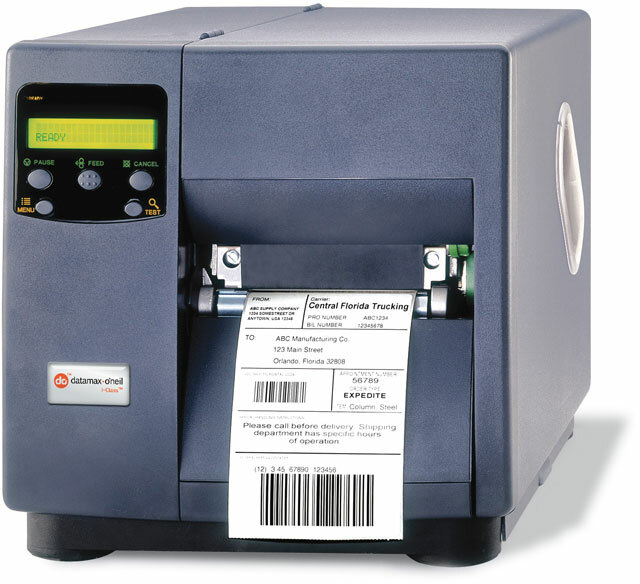 For label printing applications that demand high-resolution graphics, two-dimensional barcodes or very small labels. The DMX-I-4406 Printer from Datamax-O-Neil is perfect for applications that demand printing very small labels high-resolution graphics or two-dimensional barcodes. With a 406 dpi (16 dots-mm) printhead and the ability to accurately maintain print registration the I-4406 produces small labels for applications such as tracking small parts with high resolution barcode labels printing high quality graphics for identifying wiring harnesses cosmetic labels or adding an intricate Datamatrix Aztec or PDF417 barcode label to a package. When it comes to reliability ease of use maintenance and high performance there is just one choice: the Datamax-O-Neil I-4406. It's the industry's answer to your high performance high-resolution printing needs. Color coded component cues -- Easy to demonstrate printer operations. Reduces training time. More intuitive. Novice users are less fearful of printer operations. 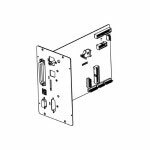 Die-cast aluminum frame -- Durable, light weight design stands up to more punishment. Precision manufacturing equates to less ribbon wrinkle out of the box. Field installable options -- Memory options, cutter, and sensor simply plug into the front of the printer. Flash memory -- Easier to remain current. Updates can be made to the printer without the need for replacing EPROMS. Front 5 button 2 line, 20 character LCD display -- All configurations take place via the front menu. No complicated dipswitches. Serial and parallel communications -- Industry standard RS-232C and Centronics Parallel ports included for host communication. Warranty -- 3 Year or 3 million linear inches warranty on mechanics and electronics. Windows printer driver -- End-users can choose which application software to use with the I-CLASS. DMXREW1, The DMX-REW1 is a low-cost universal label rewinder/unwinder supporting labels up to 5 inches wide at speeds of up to 15 ips (inches per second). Any rewind core from 1 inch to 4 inches in diameter can be used. Label rolls up to 8 inches in diameter can be accommodated. Duratran II, 3" x 1" Thermal transfer paper label. Not perforated. 5500 labels/roll, 8 roll case. PGR Plus Premium Wax-Resin, Wax-Resin Ribbon, Black, 3" x 1182', rolls/case: 24, Core Size: 1", For Use With (Labels): Polypropylene Labels, For Use With (Printer): Industrial. GPR Plus Premium Wax, 4.25" x 1182' Black Wax Ribbon. Compatible with Industrial Printers. 24 ribbon case. Used with paper labels. Also available as a single roll (Part# 222119-R). The I-4406 printer line is the most comprehensive, cost-effective industrial label printing solution available in the thermal printer marketplace today and will continue to provide the same exceptional value into the future. The I-Class Family currently consists of the DMX-I-4208, I-4308, I-4212, I-4406, and I-4604. I-Class printers are available with varying printhead resolutions, from 203 to 600 dots per inch, and print speeds, from 4 to 12 inches per second. 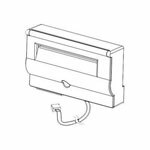 I-Class accessories are field installable and removable, increasing the utility of your technology investment, and most enhancement options are simply plugged into the printer's rear card cage. All I-Class printers feature the same innovative design incorporating scalability into a rugged structure that ultimately creates a versatile, powerful label printing tool. With the most standard memory and a vast number of available configurations, the I-4406 has emerged as the printer of choice for large, multinational operations. However, the remarkably sophisticated design and its resulting ease-of-use make the I-Class the product of choice among facilities of all sizes in all parts of the world where performance and value are not simply marketing buzzwords.